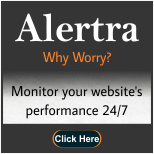 There are many reasons for a website crash. When website crash occurs, the site is not available for the visitor or user. The reasons may be within the functionality of the website or the hardware of the server. In this article, we will discuss the reasons for crash of a website. Plugins: Do not add too many plugins at a time, because identifying a troubling plugin may become difficult. Add one after one, and check them. In this case, the plugin’s effect on website is easy to find. When any plugin puts website in trouble, remove and try for alternative. Sometimes two plugins do not work properly together. But they function well individually. Even the website have many plugins the site may crash or the shutdown by the server administrator. So keep them up to the required. Heavy traffic: If the traffic to the site is too heavy, the site is automatically down. Generally it will happen when a huge number of users are trying to get the access into the site. Shared server: If you have a large number of posts with huge data, many plugins are attached to the site, and the more the traffic on a shared server is, the more is probability that site will go down. In this case, have to upgrade the hosting plan for site’s resource usage. Domain expiry: Some registration authorities will not inform about the domain expiry. It is always better to check your domain expire date. When someone buy the domain, all of the work done by you will lost. Bandwidth: If the bandwidth given by the web hosting company is consumed completely the company will cut it off. Hotlinking: Some people will give the hotlinks from their websites to other websites. Which will make to use more bandwidth and resources of other linked server. Cable tripping: When someone is walking in and around the server room they may trips on the cable which is connected to the server. In this case the connection from server to the internet will lose. Web server upgrade: While web server is upgrading, nothing will work. You need to wait, until the server is ready. Weather: Sometimes, the server or its infrastructure will get damaged by serious weather conditions like hurricanes, earthquakes etc. Web crawlers: Web crawlers are generally update their data by searching the content and indexes from other sites. If the links are more from a site the automatic search will gather from that site and the site down. These are some of the reasons for the website crashes. If the problem is at the hosted server, the administrator of the site has nothing to from their side. If the problem is in the website, can improve by the site administrator. Which Vitamins and Minerals Help in Fighting Gum Disease? How to Sell Your Own Antiques ?